When we look at the factors that influence antler and body growth on all deer species, there are really 3 basic variables that we take into consideration. These three factors are Age, Nutrition, and Genetics, which all can have a direct influence on the size of a deer’s antlers and body weight. I find it exciting that as land owners or land managers we can have a significant, positive impact on 2 of these 3 factors. It is pretty hard to influence the genetics of free ranging deer, even if you “cull” animals from the herd that appear to be lacking desired genetic traits, but we can easily influence the average age of the bucks on our properties simply by restraining from shooting yearlings, two year old bucks, three year old bucks, etc. If the bucks on your property can make it to 4 years of age or older, you will begin to see them as they maximize their potential. The second factor of the 3 that we can influence is Nutrition. With the help of food plots and supplemental feeding we can provide the proper nutrition necessary to GREATLY influence the health of the deer on our property. When I think of nutrition and my property, I want to make sure there is highly nutritious food available for my deer 365 days a year….not just during the Fall months when I may be hunting. As the seasons change so do the needs of your deer population. 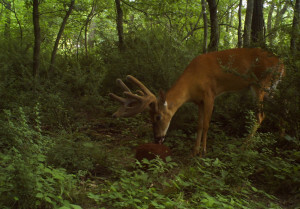 In the Spring and Summer when bucks, does and fawns are growing, they will seek out food sources high in protein to help maximize their growth potential. Clover, Soy Beans and Peas are some of the plant varieties that offer high protein food that is highly digestible, highly nutritious and highly attractive for consumption during the Spring, Summer, Fall and Winter. Food plot seeds for Spring planting that will offer the whole deer family a high protein and high energy diet would be Antler King’s Red Zone, Trophy Clover Mix, Mini Max, No Sweat and our NEW Game Changer Clover Mix. As temperatures drop and the weather begins to change in the Fall and Winter deer will shift their focus to food sources that offer higher amounts of energy as they try to prepare for the stressors of breeding season and eventually Winter. Thanks to our many years of research in deer and deer nutrition we’ve hand selected special varieties that make up each late season food source to provide mixes high in digestible energy, allowing the deer to quickly consume, digest and utilize the energy sources available in each food plot mix. Some great Summer planting options to provide High Energy and High Protein food sources for the Fall and Winter are: Antler King’s Honey Hole, Slam Dunk, Lights Out, Fall/Winter/Spring, No Sweat and Red Zone. When planted in the late Summer these mixes will mature during the Fall and provide highly digestible energy and protein to keep your deer strong and healthy as they head into the Winter months. In areas where supplemental feeding is allowed, using our Trophy Deer Mineral and Power Rack along with our Hi Protein Big Buck Block, and Energy Plus Wildlife Block, will offer deer a high protein and high energy diet to facilitate maximum antler and body growth as well as provide critical vitamins and minerals to help prevent sickness and disease. Research trials have showed that 4 year old bucks that were fed a 16% protein diet had an average of 20 more inches of antler growth than their 4 year old counterparts that were only fed a 6% protein diet. 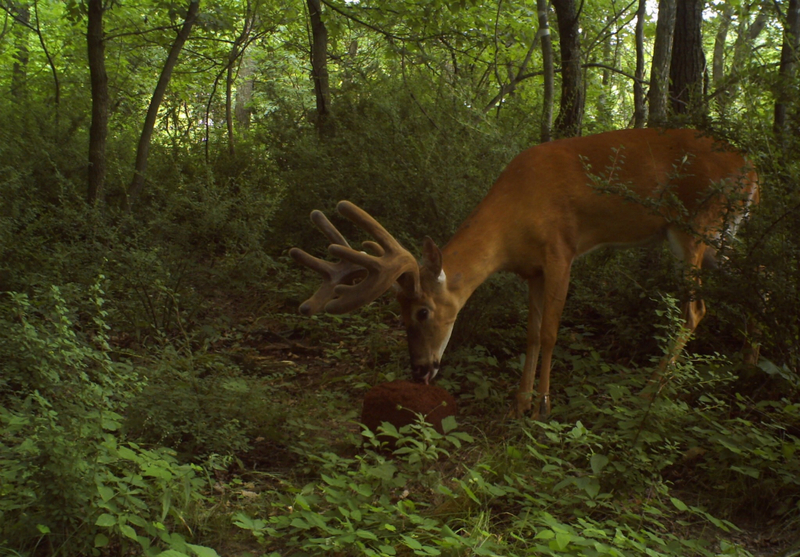 Antler King’s ENERGY PLUS BLOCK contains a 16% protein diet and additional energy and The HI PROTEIN BIG BUCK BLOCK contains 18% protein….while virtually all of the food plot mixes in our line will provide diets in excess of 16% protein. Where supplemental feeding is legal, keep these blocks out ALL year long and as the deer NEED more protein or energy, they will seek out these blocks and obtain the additional nutrients they need for maximum antler growth and overall health. It’s exciting to know that whether you hunt on 10 acres or 1000 acres you can positively impact 2 of the 3 factors that directly influence body and antler growth and begin to grow Bigger Bucks and Healthier Deer on your property today. Growing tomorrow’s Trophy starts today!